Store2PDF for Prestashop is powerful extension to generate PDF Catalog from the store. 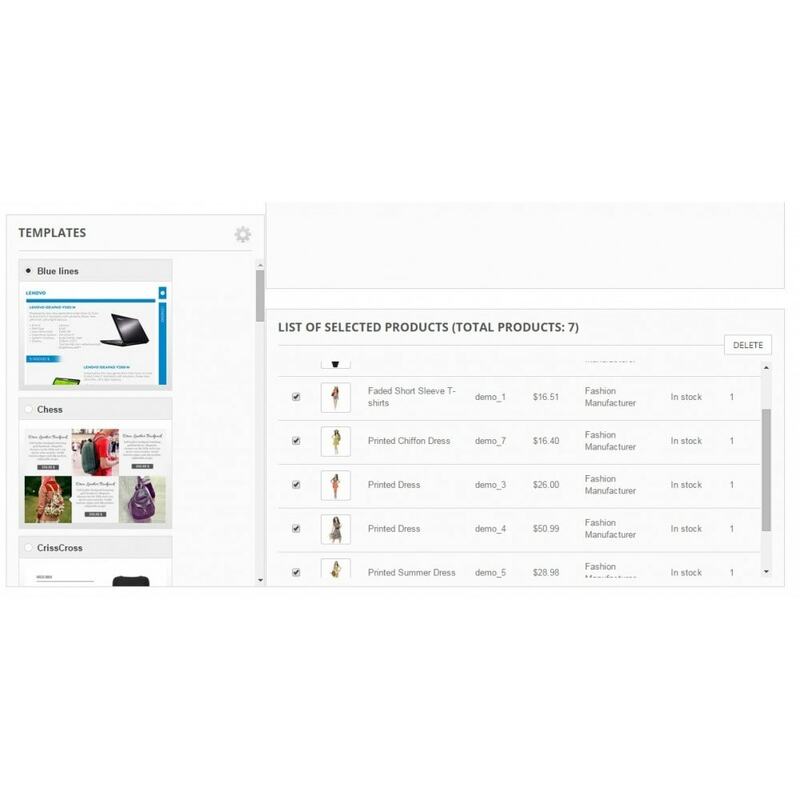 You can print selected category or the whole store data. Generate your Prestashop store PDF catalog in a single click! 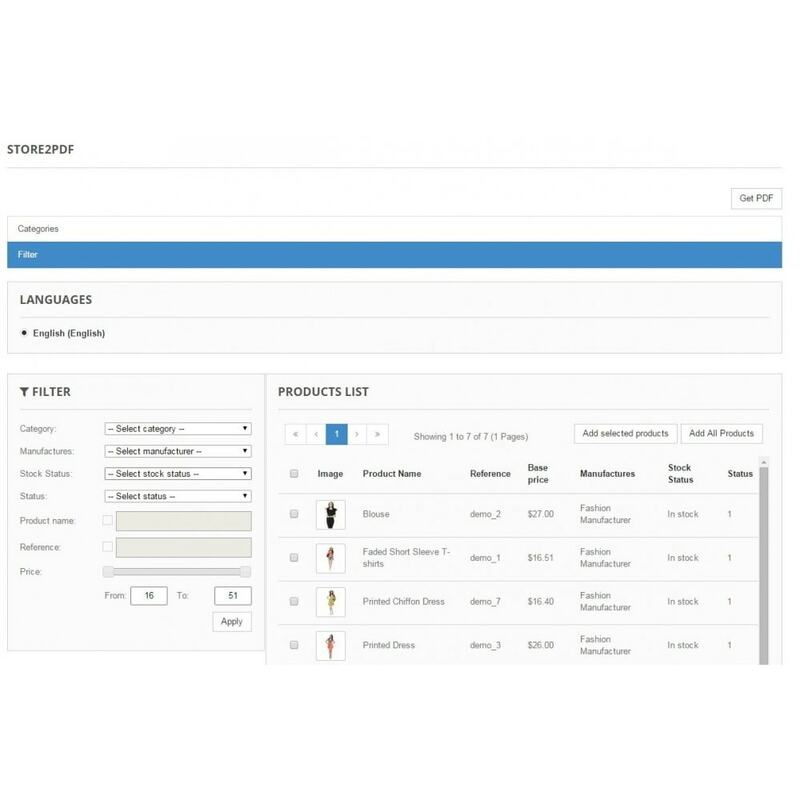 Just allow your customers to generate PDF catalog with the products list they need and your sales will increase!!! Store2PDF has possibility to modify SQL file in order to change data that should be saved in pdf format. More possibilities to modify template as they are developed based on HTML and CSS. 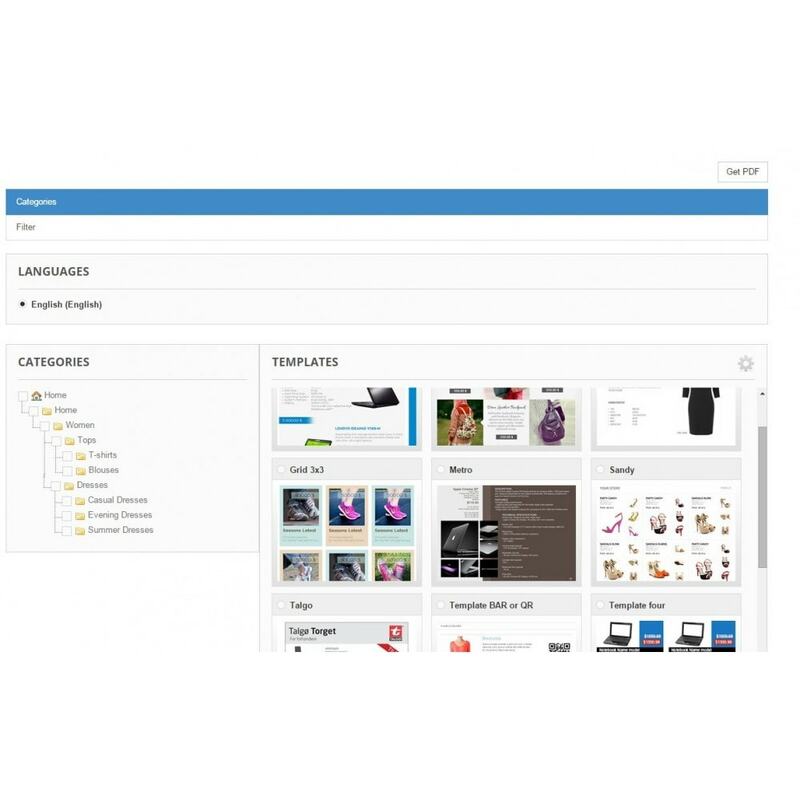 Excellent solution for catalog creating, It contained several catalog templates. Allow your visitors to generate and download your catalogs in PDF formats! This module will help you to generate pdf of selected products at frontend!